Internet MIDI is the premiere solution for long distance teaching and performing, enabling you to connect any 2 MIDI instruments together over the Internet. First released in 2007, it is in active use on six continents. 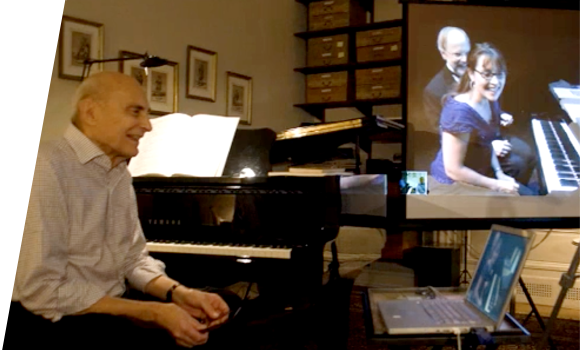 Imagine playing a piano concert in two places at once or teaching a student who is across town or across the globe. When you play notes on your MIDI piano, those same notes are simultaneously played on the remote keyboard as though you were in two places at once! The Internet has brought us new modalities of communication. Keyboard manufacturers have provided us new ways to record, store, and transmit musical performances using MIDI. TimeWarp Technologies has combined capabilities of both the Internet and musical keyboards to enable you to take your teaching and performing to a new level. When giving a long distance lesson or performing for a remote audience, you are challenged to overcome obstacles of time and space. Internet MIDI addresses this situation by enabling you to “beam” your musical self to the other location, enabling you to play on the remote instrument as though you were in that other location. When you play on your local keyboard, the speed of every keystroke and the subtle movement of the pedals are captured in the form of MIDI data and transmitted to the distant instrument where your performance is faithfully reproduced—as though you had performed while seated at the remote keyboard. And the same is true for the person at the other end of the connection who is empowered to play your keyboard. Depending upon the speed of your Internet connection, your performance will be reproduced on the remote instrument within less than half a second, perhaps within a few milliseconds. Musically speaking, this is the closest we can come to being in two places at once. Setting up Internet MIDI is easy. Just connect your MIDI keyboard or other MIDI instrument to your Mac or PC. Play a few notes and make sure that the on-screen keyboard animates, confirming that the computer is reacting to your playing. Then, click some notes on Internet MIDI’s on-screen keyboard and make sure that you hear sound coming out of your MIDI keyboard. Once your instrument is properly connected to your computer, your are ready to connect to another MIDI instrument somewhere else in the world. Establishing a connecting between two MIDI instruments—such as digital pianos or acoustic pianos that have a MIDI feature—is straightforward. In most cases, all you need to do is establish a buddy name for yourself and set Internet MIDI to go online. Check your Internet MIDI buddy list and see if your Internet MIDI partner is also online and then click to connect! Once you have connected your Internet MIDI program to your buddy’s Internet MIDI program, you can play your instrument and your buddy’s instrument simultaneously. By connecting distant instruments in this way, Internet MIDI creates a situation in which the remote person hears you playing the remote instrument as though you were actually in the room. Most people use Internet MIDI simultaneously with a video conferencing program. 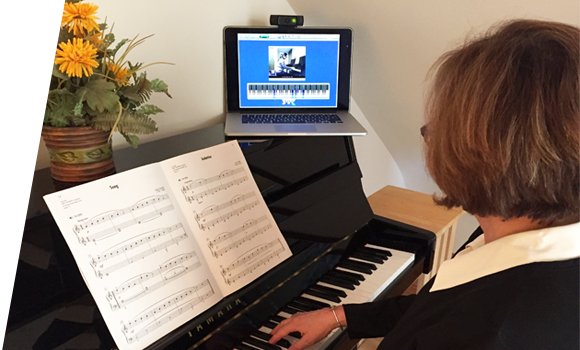 The video conferencing program enables you to see and speak with your remote musical partner while Internet MIDI handles the transmission of up to 16 channels of MIDI performance data. 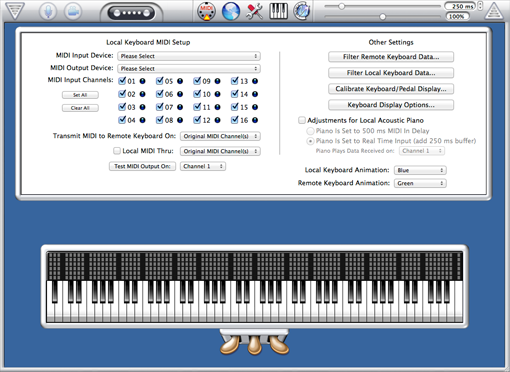 Internet MIDI has features that work interactively with Skype version 7 and earlier. You can set up Internet MIDI to mute the Skype microphone automatically when you play so that you can avoid an audio echo of your performance that may otherwise be generated by Skype. You can even set up your MIDI keyboard to control Skype in other ways, such as to switch between cameras either locally or remotely. If you use another video conferencing program, Internet MIDI has you covered. Internet MIDI can mute all microphones automatically when MIDI activity is taking place, or you can take control and “manually” turn on and off your microphone by playing a designated MIDI key or pedal. You can think of Classroom Maestro as an intelligent, interactive whiteboard for displaying musical concepts on the fly. Most video conferencing programs give you no control over the latency of video and audio transmission. In order to ensure that your MIDI performance is visually coordinated with what you see on your computer screen, Internet MIDI provides a buffer slider that enables you to adjust the timing of incoming MIDI data. The animated keyboard is a useful tool for keyboard instruction, enabling you to show your student what is going on when you play—something that has been traditionally difficult to do because a pianist’s hands and feet cover the keys and pedals! To make the long distance teaching experience even more interesting, you can set the keys of the on-screen keyboard to use one animated color when you play and another animated color with the remote person plays. 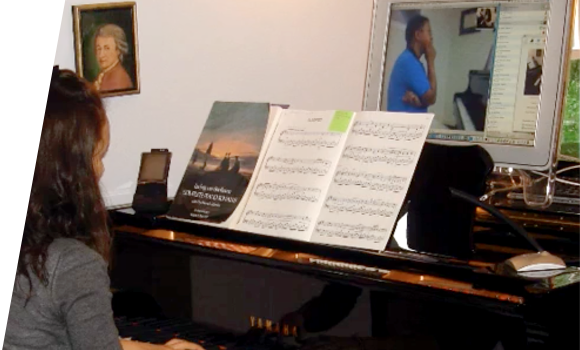 Imagine teaching a piano lesson over the Internet. How much time do you want to spend fussing with muting and unmuting of the microphone or the switching of webcams? If you and your student have installed TimeWarp’s Classroom Maestro program, you can access the features of Classroom Maestro within Internet MIDI and engage in a truly multimedia music lesson. Successful teaching is all about effective communication. 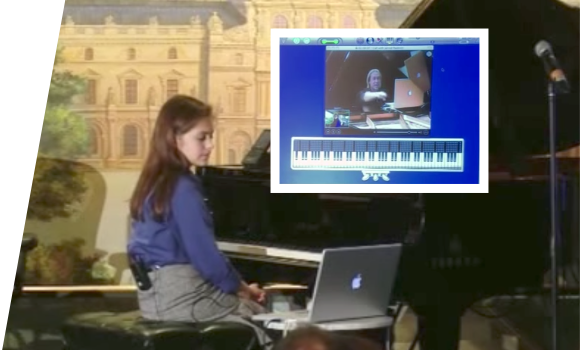 Internet MIDI and Classroom Maestro combined with MIDI instruments, video conferencing, and the Internet provide unprecedented opportunities for connecting musically with your students and audiences. This is a fully functioning demo version of Internet MIDI that will work for just 15 minutes at a time. You may launch it up to 30 times. It includes the optional Classroom Maestro feature. George Litterst demonstrates how to set up a MIDI keyboard for use with Internet MIDI. What kind of Internet connection do I need to use Skype or other video conferencing software and Internet MIDI? For the best video conferencing experience, this generally means an uninterrupted 768 kbps connection in both the upload and download direction. More bandwidth is even better. The best Skype video is generally achieved with bandwidth in the 2-4 Mbps range. This bandwidth range is similar for other video conferencing programs. Internet MIDI by itself does not require as much bandwidth as Skype. Therefore, if your connection is a good one for Skype, it should be good for Internet MIDI. Is Internet MIDI available for iPad? Internet MIDI is not available for the iPad at this time. 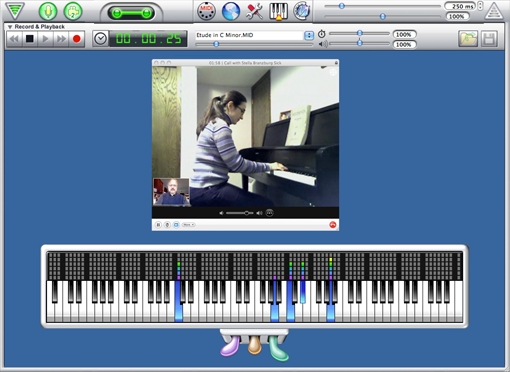 Most users appreciate Internet MIDI’s interactivity with Skype, and it is not possible to create a similar, interactive situation on the iPad at this time. I want to use Internet MIDI to teach a student. Do we both need to purchase the software? Yes, each license permits a single user to use the software at any given time. I want to use Internet MIDI on my laptop and desktop computers, do I need two copies? You are allowed to installed Internet MIDI on two of your OWN computers, so long as you are the only one using the software at any given time. How do I demonstrate music concepts like note names, chords, scales, and hand positions while teaching online? 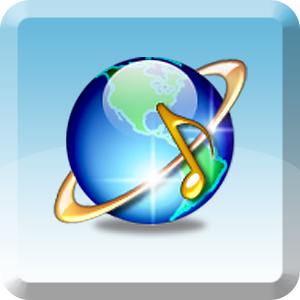 If Classroom Maestro has been purchased and installed on the same computer as Internet MIDI, Classroom Maestro will be available inside of Internet MIDI. Just click the Classroom Maestro button in the top, center area of the Internet MIDI window to enter the Classroom Maestro module. Classroom Maestro can then be used in the normal way. NOTE: If, during an Internet MIDI connection, both users have brought up the Classroom Maestro module, either or both users may control the on-screen staff and keyboard displays. You may find it convenient to set up Internet MIDI to show the notes that you play in one color on the on-screen keyboard and the notes of your Internet MIDI partner in another color. How do I mute the microphone when using Internet MIDI and a video conferencing program, such as Skype, FaceTime, Zoom, or ooVoo? 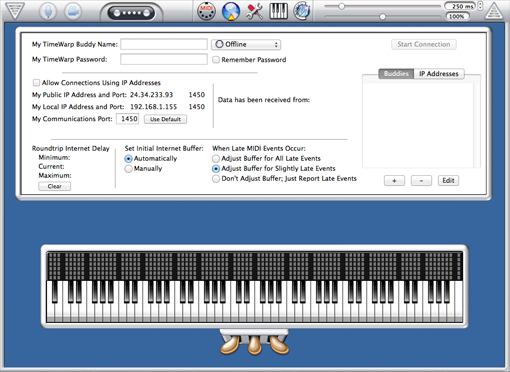 Internet MIDI has a feature called A/V Controls that enables it to send messages to your computer’s operating system in order to mute all microphones connected to the computer. In general, it is a good idea to let Internet MIDI automatically mute all system microphones when the MIDI keyboard is being played in order to avoid an audio echo coming through your video conferencing system. To use A/V Controls, go to Internet MIDI’s A/V Controls menu and select “A/V Controls…” (the second choice). At the top of the window, make sure that the A/V controls are turned ON and choose the option to mute the system microphone. With these settings in place, Internet MIDI will mute all available microphones while you play or when you receive incoming MIDI data. When MIDI activity stops for as long as 2 seconds, the microphones will become active again. There are other features in this window for forcing the microphone to be muted or active and for remotely controlling your partner’s microphone. NOTE: On the Mac, some USB microphones will not mute themselves completely when commanded to do so. These mics will typically lower the volume to a nearly imperceptible level instead. How do I control Skype’s microphone and camera when using Internet MIDI and Skype at the same time? NOTE: The answer below applies to Skype version 7 and earlier, which includes a feature called the Skype API. The Skype API is not available in Skype 8 or later. If you are running Skype version 8 or later, please use Internet MIDI’s A/V Controls to control the “system microphone” instead of the Skype mic and camera. Internet MIDI has a feature called A/V Controls that enables it to send messages to Skype in order to control the Skype microphone and camera. In general, it is a good idea to let Internet MIDI automatically mute the Skype microphone or the system microphone when the MIDI keyboard is being played in order to avoid an audio echo over Skype. The other options in this window are optional. To use A/V Controls, be sure you are using Skype 7 or earlier. and place a checkmark in the box next to this item. Then, make sure that the A/V controls are turned ON (at the top of the page). Internet MIDI should be listed in the window that comes up. If the Internet MIDI listing says “Not allowed to use Skype,” click on the words Internet MIDI to select them and then click the “Change” button. Select “Allow this application to use Skype.” Lastly click “Done” in this window and the next one. If Internet MIDI is not listed in the Manage API Clients window, close Skype, be sure Internet MIDI A/V controls are turned on, and reopen Skype. You should get a new message asking for permission. The default is “Do NOT Allow,” so it’s easy to press the return/enter key and dismiss this dialog. Make sure you choose “Allow this application to control Skype.” You’re A/V controls should now work properly. In Skype’s Tools Menu, navigated to “Options…” to bring up the Skype Options window and then “Advanced” on the left side of the window. In the middle of the window, near the bottom, there is a link that says “Manage other programs’ access to Skype.” Click that link. If the Internet MIDI listing says “Not allowed to use Skype,” click on the words Internet MIDI to select them and then click the “Change” button. Select “Allow this application to use Skype.” Lastly click “OK” or “Save” in this window and the subsequent windows. I forgot my Internet MIDI buddy name password. Can I retrieve it? If you registered your email address when you created your Internet MIDI buddy name, you can recover your Internet MIDI password. Go to the Internet MIDI menu, select Recover TimeWarp Buddy Password…, and follow the directions. I can’t make a connection with my Internet MIDI buddy list? What could be wrong? First, double check that you have your computer connected to the Internet. If you can open a browser window and view a website or engage a Skype call, for instance, you are connected to the Internet. If Internet MIDI produces a message stating that you cannot connect with the TimeWarp server, you may need to make changes in your router settings and/or firewall settings. Before you make any changes, however, we suggest that you simply restart your computer, modem, and router. If you still can’t connect to the server, you should try connecting by IP addresses instead of via the buddy list system. (Click HERE to find out about connecting by IP addresses) If you still have trouble, you may need to set up your router for Port Forwarding or Port Triggering. These are commonly used features in “peer-to-peer” gaming, for instance, and aren’t difficult to use. Internet MIDI is only working in one direction (as in, I can transmit but not receive or vice versa). What’s wrong? (a) play some notes on your MIDI keyboard and note whether the on-screen keyboard animates. (b) click some keys on the on-screen keyboard and note whether you hear any sound coming out of your keyboard or other designated MIDI output device. If either test fails, you need to examine the MIDI cabling between your keyboard and Internet MIDI as well as your MIDI Input and MIDI Output settings within Internet MIDI. Also make sure that volume is turned up on your MIDI Output device and that all MIDI Input Channels are checked in MIDI Setup view. (2) Internet MIDI has a feature that enables you to mute MIDI transmission and MIDI reception. You can mute/unmute MIDI transmission but clicking the upward-facing, triangular button in the upper right area of the Internet MIDI window. You can mute/unmute MIDI reception by clicking the downward-facing, triangular button in the upper left area of the Internet MIDI window. (4) If you are using Internet MIDI with an acoustic piano that has MIDI capabilities, you may have a MIDI channel mismatch between Internet MIDI and your piano. Take a look at the designated Channel number next to “Piano Plays Data Received on” in MIDI Setup view. Make sure that the designated channel matches the MIDI Receive channel for your acoustic piano. Some of the Internet MIDI windows have incomplete text or seem cut-off. What’s wrong? You have probably set your Windows Display Setting to show text at a larger size than 100%. Please return your Display Options preference to 100%. How do I send my log file to TimeWarp? If you are having a connection or performance issue with Internet MIDI, we may ask you to send a log file to TimeWarp. To do so, go to the Internet MIDI menu and select Send Log File to TimeWarp…. When you do, please fill out the request information completely. Doing so will help us help you! I am using Internet MIDI with a MIDI organ. Why are Skype A/V controls not functioning properly? Our original development of the program focused on the needs of piano players. Because piano tones decay without releasing the key, our A/V control feature does not take into account note-off messages. Instead, it simply restores the microphone to the On position X seconds following the last note-on message. Clearly, this won’t work with organ sounds, because sound continues to be produced as long as the key is depressed. We hope to remedy this problem in an upcoming version. In the meanwhile, you can use another A/V feature in a more manual way. You can assign a MIDI note or pedal to mute/unmute the microphone. This might work if you set the automatic microphone mute feature to a higher number, say 8 seconds. In some cases, the microphone will not come back on as quickly as you would like. When that is that case, you would simply play the note or pedal that forces the microphone into the On position. The note or pedal that you use for this purpose will not be sent over the Internet as a MIDI message. 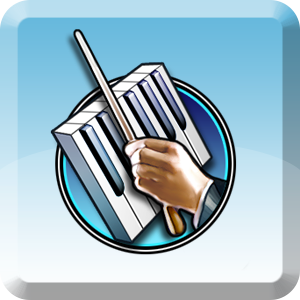 Why can’t I use the Classroom Maestro icon in my Internet MIDI software? Classroom Maestro is a separate software product. When it is installed on your computer, it can be used from within Internet MIDI. 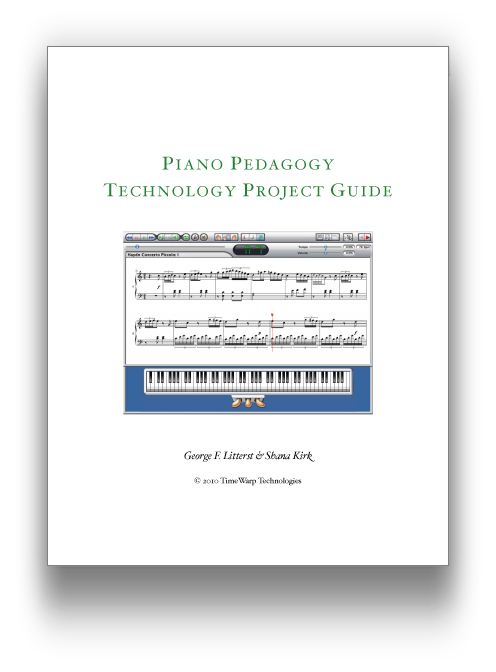 How can I use Internet MIDI with a college piano pedagogy class? I have been using Internet MIDI successfully for the last 3 years, and I must say that there is something magical when I play my piano in Saudi Arabia and simultaneously play a piano in Florida! 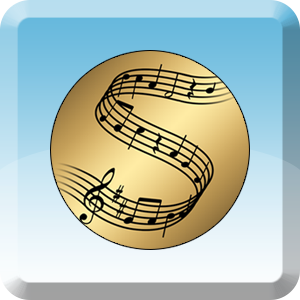 Internet MIDI takes online lessons to the highest level possible and even enables teachers to have effective online lessons with sketchy internet connections. Internet MIDI is an integral part of my distance teaching. 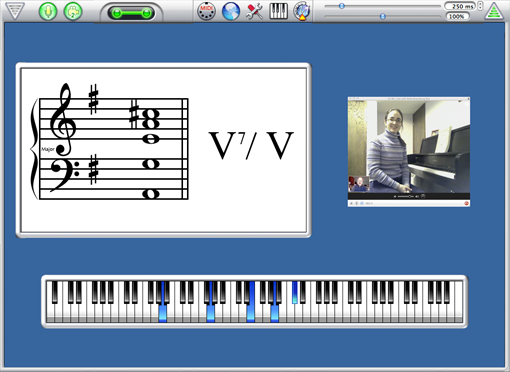 I use Internet MIDI in my own synchronous online teaching and train all of my pedagogy students to use it. With Internet MIDI, I can easily synchronize video with my piano. The on-screen keyboard visuals allow me to quickly demonstrate single notes or chord progressions when students need help. However, I can also reinforce more complex ideas such as chord voicing, dynamic contrast and pedaling for my more visually-inclined students. Best of all, my students navigate Internet MIDI easily. The technology is not distracting rather, it supports the teaching and music-making throughout the lesson. Internet MIDI is awesome! My girls have piano lessons online and with Internet MIDI, they always know what keys they should play. The lessons are so much better than with Skype alone. 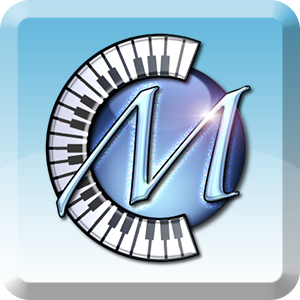 For over 4 years, I have used Internet MIDI in my independent piano studio, which has allowed me to offer quality piano instruction to students in the United States and Canada. I recommend Internet MIDI to teachers and students who aspire to establish the highest quality, long distance teaching environment.